Whether you use our firm or another search firm for your construction recruiting, one thing you must do as a contractor is to use a search firm that works in your industry. Make sure when you are evaluating a search firm to use that they know the construction industry and they recruit for the construction industries. At Alabama Construction Recruiters we have been in business over 20-years and we ONLY recruit for the construction and construction materials industry. We know your business. We understand the different aspects of a construction project and what manpower it takes to build these projects. Our search process is about finding the right candidates that can make an impact and a difference to your organization, not just warm bodies, but people that can hit the ground running because they know the local vendors, suppliers, and subcontractors in the greater Alabama area. We can help your firm find, attract, and secure the best talent in the industry. It’s not easy, especially with the shortage in talent these in our industry (skilled trades are getting harder and harder to find!). Most of our search work tends to be for middle managers and upper-level executive positions but we do, on occasions, have to find a crane operator or a dredge operator. We know in your business sometimes the most important position in your organization isn’t always middle managers, supervisors or executive, it’s those very difficult to find trade positions. It’s not uncommon for us to find lower-level positions for our clients, because we understand when you don’t have the type of people (or enough people) it eventually gets to the point where you will start to pass up on business because you just don’t have the manpower to get the jobs built. We don’t like to hear these things, but we know they exist. We want to help your firm grow by attracting the right type of candidates to your firm. Together we can make a difference and an impact in your overall bottom line. When we get into a search agreement with our clients it’s a total team effort. We rely on each other to merchandise your opportunity at every chance we get when we are speaking to potential employees for your organization. As a contractor you must keep your “A” players on your staff happy, because it’s way to expenses to lose them and try to replace them. But, it’s just as important to attract “A” players to your company. That’s what we are here to do – that’s our job! We are always going after the “A” players on other teams for you. We don’t twist arms or try to talk anybody into things they don’t want to do, but we do visit with these candidates and get an idea what their career goals are and to see if it would “fit in” to your company. Actually, that’s a key part of any successful search. 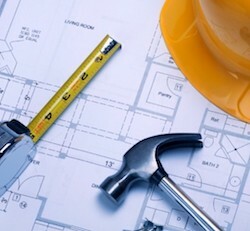 Finding that cultural fit between your construction firm and any candidates. Not all search firms are created equal. As you can see we value are relationships with the construction firms we do business with and together we can find, attract, and secure the best possible “A” talent in the greater Alabama area for your firm. Don’t go it alone! Finding the RIGHT talent for your firm is too important. The right people will make you money and the wrong people will cost you money. The projects you are involved requires the best people in the business to build. We can help! Call us or email us today for a free consultation. Call us – we pick up the phone! We want to help your firm grow and become the best contractor in the Alabama area. At Alabama Construction Recruiters we can help. We look forward to hearing from you and meeting with you soon!